Email marketing is known for providing a great return on investment, so it is no surprise that email marketing is so popular, physical, actual junk mail is actually a thing of the past for most people. If you aren’t already doing email marketing to promote your business or brand, it is probably high time you start. As you gear up to do email marketing, you should know that while marketing via email is known for a great ROI, it can be better. There are certain things that you can do to boost your email marketing ROI, and increase your profits. While there are several techniques, the following are just three ways in which you can get even better results. Sure, email marketing offers a great ROI, but that is only if people actually get your messages. A big percentage of marketing messages sent out never actually make it to an inbox, so you need to take steps to make sure as many of your emails as possible make it. To do this, you should first avoid words that make email service providers or even actual recipients mistake your email for spam. There are hundreds of these, but some of the big ones happen to be “free” and “winner.” You should also ask recipients to whitelist your email address and add it to a “safe” list so that you don’t end up in their spam folders. Other ways to increase deliverability consider including only relevant content, splitting your lists up into different categories by interest, and, while this may make you nervous, a super simple unsubscribe option. You should also check up on this by creating email accounts with popular ESPs to see if your messages make it. To maximize your ROI, you should manage to integrate your social media strategy with your email marketing campaign. There are a number of ways to do this, but you can simply start by Tweeting your emails or posting them on Facebook (an option that most popular email marketing services have). While you are at it, you should leave sign up forms and links for people to get on your email list on your blog, on Facebook, and other social sites. Also, you should let those who receive your messages easily share them on social sites or become a friend or follower of your social networking accounts all from the body of the email. 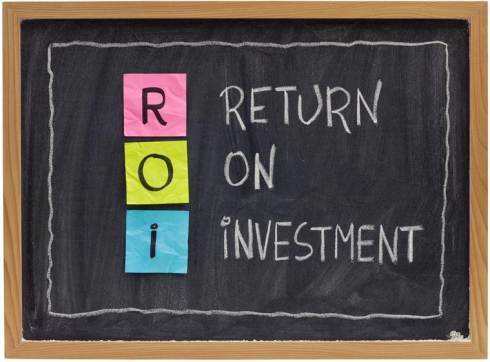 This way, you are not only boosting your email marketing ROI, but you are probably helping to increase your social media ROI as well. Sure, you have heard that you need to spend money to make money, but may not be the case when it comes to boosting your ROI. There are things that you surely are doing that are costing you money that you do not need to spend; less investment for the same results definitely means a higher ROI. With many email marketing tools out there, you are paying for every email that you send. If you are paying for emails that won’t be delivered successfully to an inbox, you are almost just throwing your money away. Remove email addresses that bounced more than five times; this can save you a lot of money. Also, some services charge based on the number of subscribers you have. If you don’t have that many of them, don’t pay for more subscribers than you have; you can always up your subscription later. This is also an even better reason to cull out email addresses that don’t work. This article is written by Sara Carter who likes social networks, google android, cyberdefender and psychology.